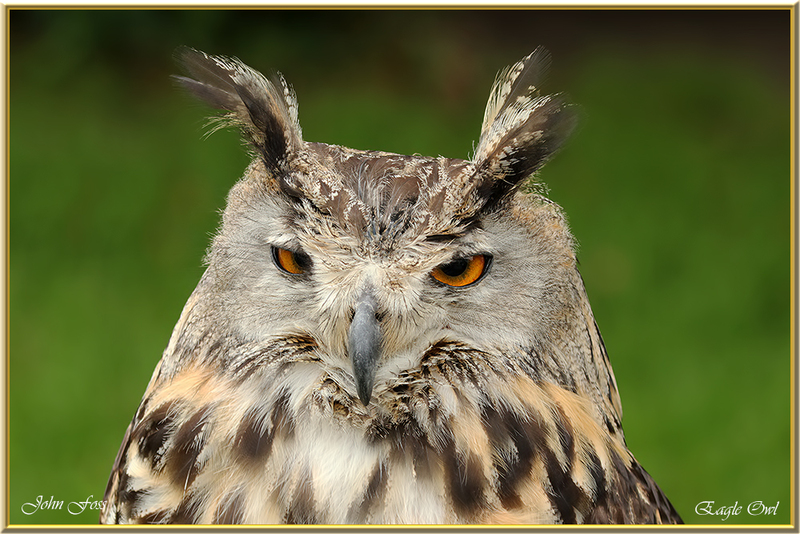 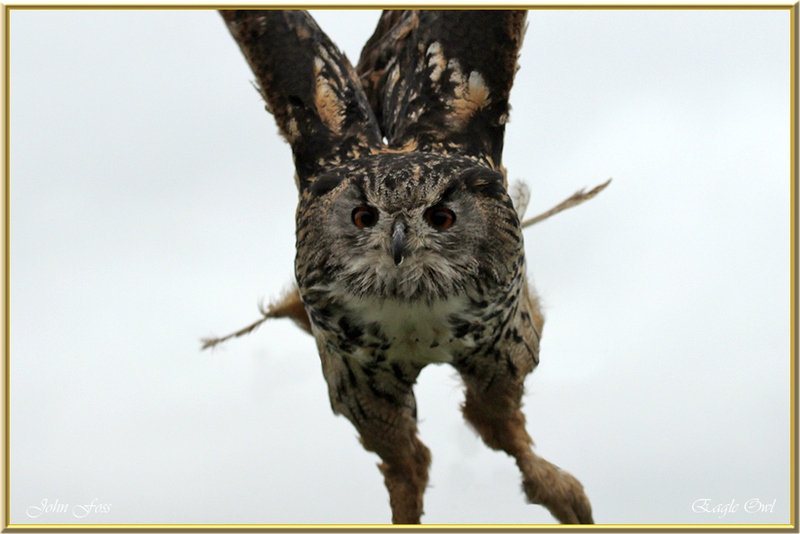 Eagle Owl - sometimes called the European eagle-owl. 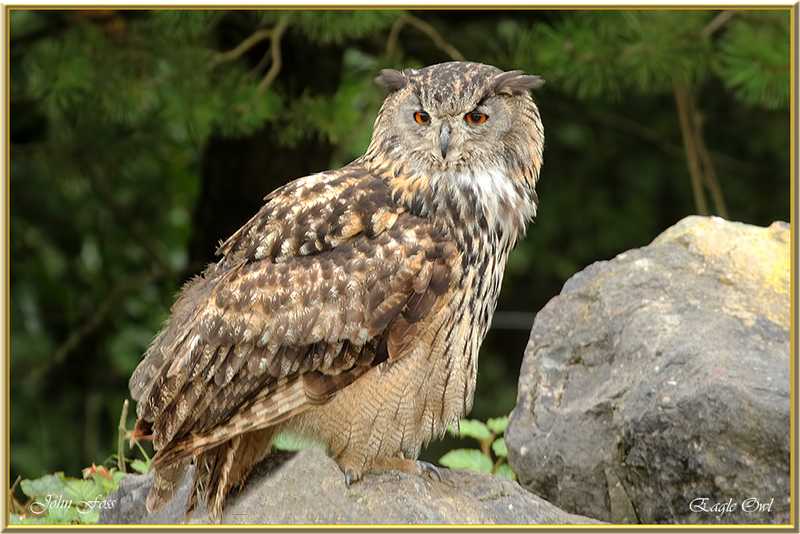 This is one of the largest and most widely distributed species of owl. 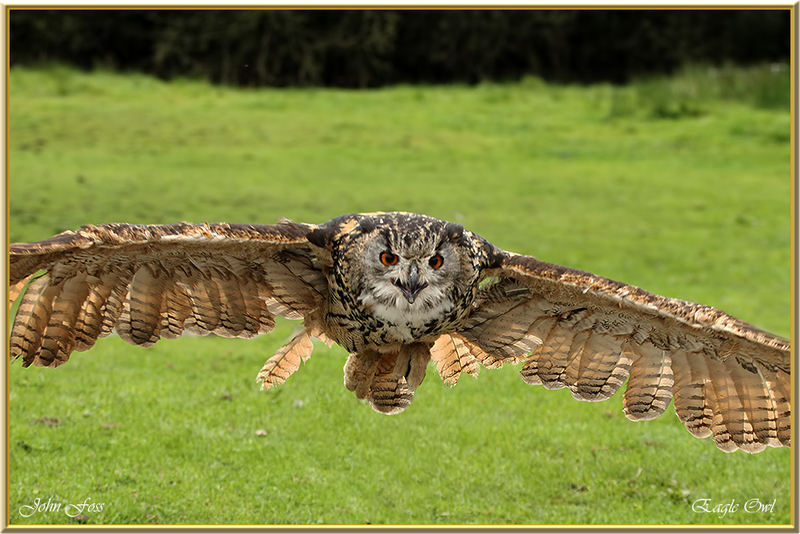 It mainly hunts at night as many owls do for small mammals, reptiles and large insects. 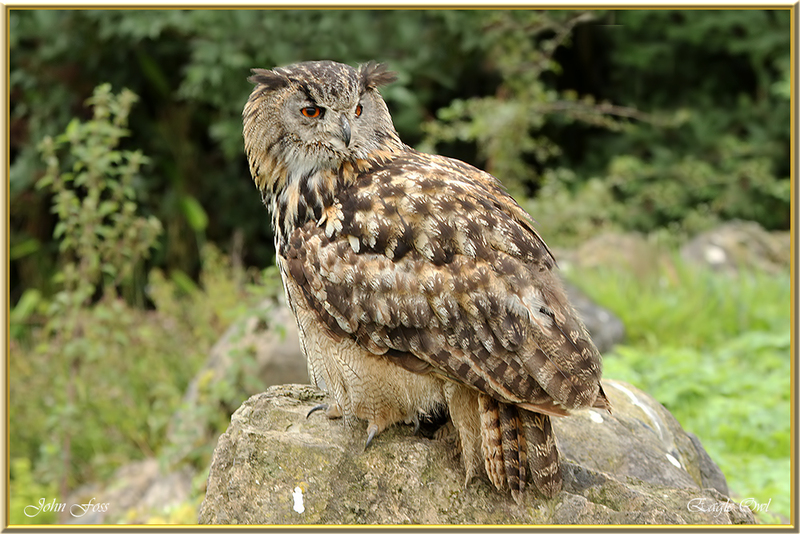 Its habitat is mostly around mountainous regions where it breeds and coniferous forests. 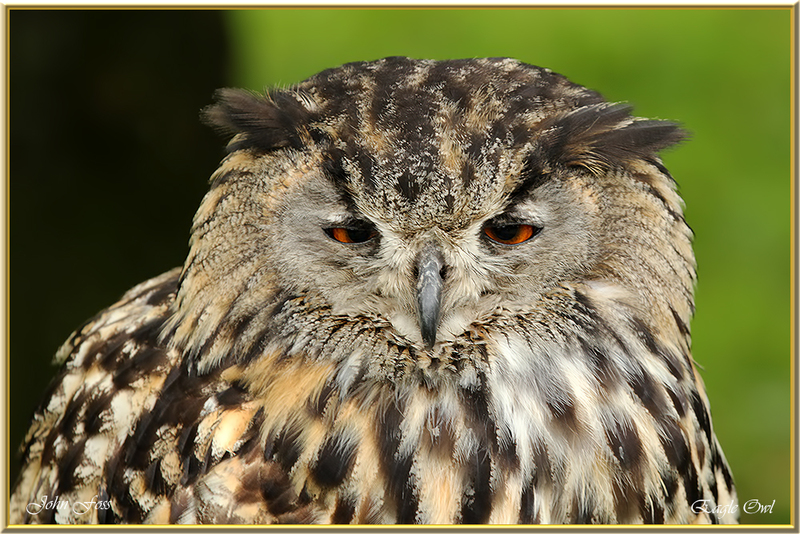 There are very few records of this owl being present in Britain but are a common resident in Portugal.